California’s snowpack: Now zero percent of normal—a worst case scenario for the state’s water supply. 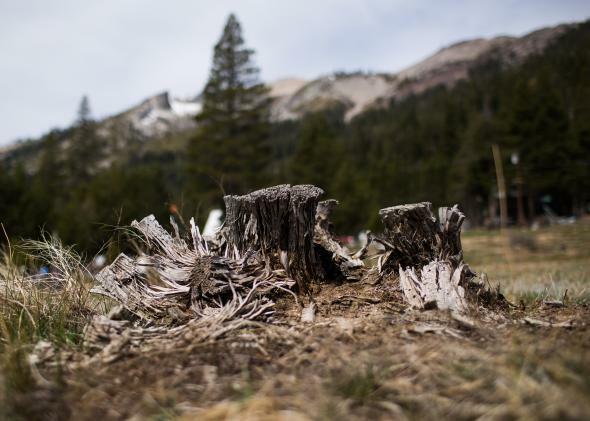 A stump sits at the site of a manual snow survey on April 1, 2015 in Phillips, California. The current recorded level is zero, the lowest in recorded history for California. 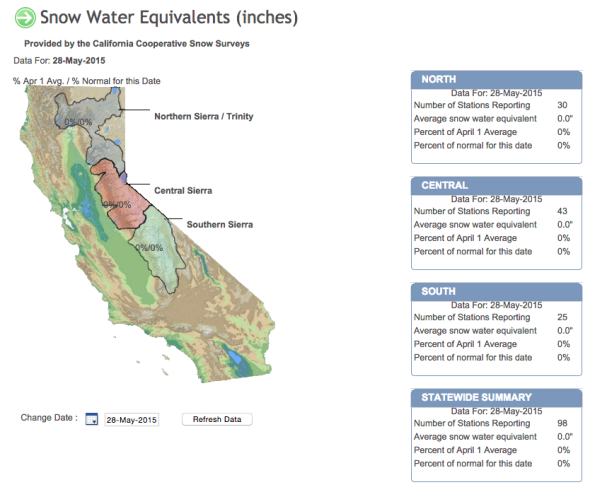 This week’s automated survey found California’s statewide snowpack had officially run out. The state knew this was coming and has been working to help soften the blow—but they’re fighting a losing battle. Bottom line: 2014 was the state’s hottest year in history, and 2015 is on pace to break that record. It’s been too warm for snow. Back in April, Gov. Jerry Brown enacted the state’s first-ever mandatory water restrictions for urban areas based mostly on the abysmal snowpack. In recent days, the state’s conservation efforts have turned to farmers—who use about 80 percent of California’s water.